I can’t believe it’s day thirty of the reading challenge! I honestly didn’t know if I would be able to stick with it. I may have missed a few days, and this post is a day late (oops), but I always caught up and that’s what counts, right?? And let me tell you, I’m really excited about today’s post as, naturally, I saved the best for last. At the dawn of the nineteenth century, two very different magicians emerge to change England’s history. In the year 1806, with the Napoleonic Wars raging on land and sea, most people believe magic to be long dead in England–until the reclusive Mr Norrell reveals his powers, and becomes a celebrity overnight. I LOVE THIS BOOK. I LOVE THIS BOOK. I LOVE THIS BOOK. That’s okay. I forgive you. 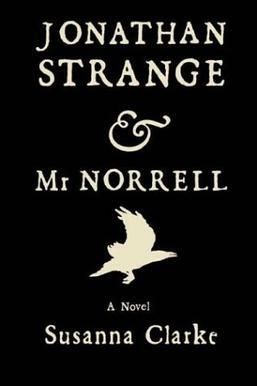 Like with the Night Circus, Jonathan Strange & Mr Norrell is a descriptive, slow-building novel centered around magic and odd characters and setting. It’s careful and precise and so very, very lovely that I can’t even stand it. I first read this book in high school. I checked it out from the library because I heard Maggie Stiefvater raving about it and I trust her entirely (of course). From the moment I read the first page, I knew this book would always hold a dear place in my heart. Unlike most books I love, I’ve only read this novel once, that one first time. This is entirely because the book is so long–it literally took me a month to read, and not for lack of interest. It’s just a dense book, one that deserves to be savored. Aside from one thousand and six pages, the book is filled with footnotes detailing the history of magic in this alternative reality. To me, though, these anecdotes and asides add such a character and atmosphere to the novel and allow me to further delve into the world. I read a blurb about the book that described it as a the lovechild of Austen and Tolkien (two of my favorite authors), which is actually really accurate. The myth and magic feel as ancient and mysterious as Tolkien’s, but the style and voice are so reminiscent of Austen’s clever narration–a proper fantasy. But in the end, I don’t really know how to articulate why I love this book. It’s more than its literary devices and style and prose (even though I love all these things). It’s the myth of magic, it’s the love of England, it’s the strange and delightful characters. All the elements of the book come together so wonderfully, turning it into an odd treasure of a book. I love it so very much. I hope to read it again soon. My thirty day reading challenge is now complete! If you missed any days, or want to start over, here is day one. seriously. this book deserves all the love!